Objective: Electronic medical records (EMR) typically contain both structured attributes as well as narrative text. The usefulness of EMR for research and administration is hampered by the difficulty in automatically analyzing their narrative portions. 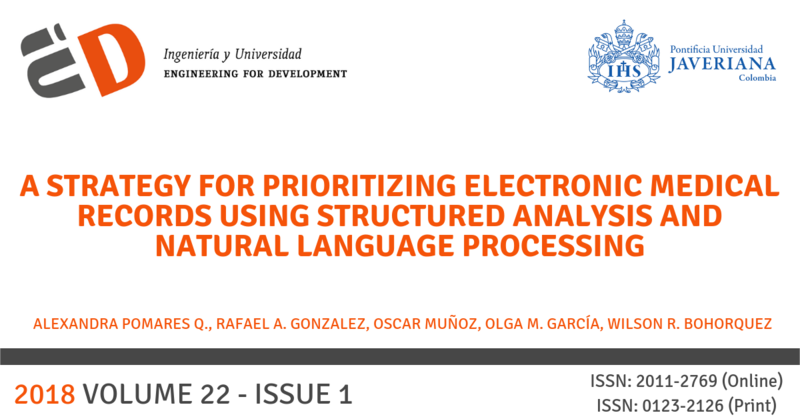 Accordingly, this paper proposes SPIRE, a strategy for prioritizing EMR, using natural language processing in combination with analysis of structured data, in order to identify and rank EMR that match specific queries from clinical researchers and health administrators. Materials and Methods: The resulting software tool was evaluated technically and validated with three cases (heart failure, pulmonary hypertension and diabetes mellitus) compared against expert obtained results. Results and Discussion: Our preliminary results show high sensitivity (70%, 82% and 87% respectively) and specificity (85%, 73.7% and 87.5%) in the resulting set of records. The AUC was between 0.84 and 0.9. Conclusions: SPIRE was successfully implemented and used in the context of a university hospital information system, enabling clinical researchers to obtain prioritized EMR to solve their information needs through collaborative search templates with faster and more accurate results than other existing methods.